I spent 19 years searching for this album before I finally got my hands on a copy. My favorite television series of all time is a short-lived series titled Action, which came out in 1999. Only eight episodes of the series were aired before it got cancelled, although 13 episodes were made. All 13 episodes are available on DVD, of course. Warren Zevon's song "Even a Dog Can Shake Hands" was used as the theme song to Action, and just from the short snippet of the song that was used during the show's opening credits, I knew it was an amazing song. From that point on, I would look for this album whenever I went to a music store, hoping to stumble across a copy eventually. That never happened, so I finally went on Amazon.com and bought a copy. I figured, 19 years is enough of a wait. Well, I'm happy to say it was a wait well worth it. In just the first 24 hours of owning the album, I listened to it three times, and then more as the days progressed. I'm listening to it at this moment, as a matter of fact, as I'm writing this review! Being my first Warren Zevon album, I can't claim to be overly knowledgeable about the man or his work, but I'm sure going to seek out more. Zevon is an incredible talent, with a hypnotic voice. 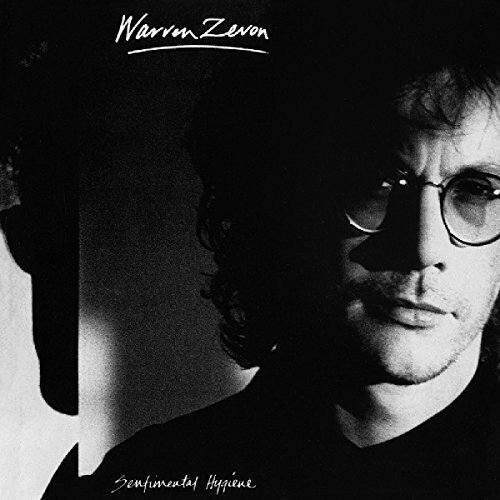 This album is hard-hitting, yet incredibly poignant; Zevon is definitely a man who has something to say, and he delivers his messages in such a way that you enjoy listening. I don't know anyone who can't listen to "The Factory," for example, and not feel it hit close to home. "Even a Dog Can Shake Hands," is, of course, a fun indictment of the music industry in which Zevon lived and worked. Even when he tones it down for "Reconsider Me" and "The Heartache," you're still completely enraptured in what he has to present. Then, of course, the title song is a great introduction to the album; it sets the tone and pace wonderfully. I highly recommend this album to any and everyone who enjoys music. If you don't fall in love with it as I have, I'd be genuinely surprised.